Andrew Driver, the owner of Blue Foot Diving and 1000 Islands Water Tours, was born 50 meters from the English Channel and has spent his life in or on the water ever since. 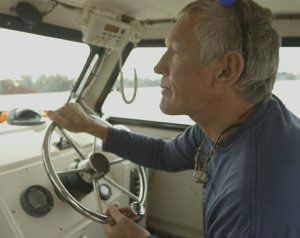 He has worked extensively as both a dive boat captain and tour boat captain, sailed across the Atlantic twice in one year, and delivered boats to many locations throughout the world. Andrew has a USCG 100-ton master license as well as being a UK licensed master of motor and sailing vessels up to 200 gross tons and has spent time on many different vessels including super yachts, research vessels, dive boats, a year on a war ship and most memorably 2 weeks on a tall ship. He has visited over 50 different countries. A scuba diver since he was 12 years old, Andrew now trains others to be instructors and has dived throughout the world from the high Arctic, to the Amazon rain forest to the wrecks of Asia. As a professional diver he has done work for the Discovery Channel, the History Channel, National Geographic, and other TV production companies. Andrew’s most recent diving trips have been with the Defense POW/MIA Accounting Agency (DPAA) in Papua New Guinea and Palau recovering the remains of servicemen from World War II. Andrew also owns a company that rents, sells, and operates recompression chambers (portable chambers in particular) for divers. He uses his knowledge as an International Board of Undersea Medicine chamber instructor and operator to educate divers on hyperbarics as well as making dives from his dive boat safer. As an officer in the Royal Marines Commandos for 8 years, Andrew served on various appointments at sea and on land including tours for which he received extensive training in parachuting, Arctic survival, and combat swimming with oxygen rebreathers. He was a member of the British National Parachute team and commanded the world-record-holding Royal Marines Free Fall Team. After many visits over the years to the Thousand Islands, Andrew made it his home more than 10 years ago. He loves its history as much as its unparalleled beauty. Greg has been involved with diving and the super yacht industry for over 35 years. His father was a large boat captain and Greg was brought up traveling and diving around the world. 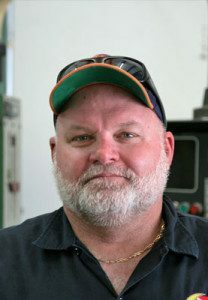 Greg is the owner of Moon Dog Dive Outfitters and for the last 18 years has been a high pressure life support technician, designer, and installer. With his vast experience he has managed HP installs on some of the largest dive programs in the yachting industry. His expertise has carried over to scuba equipment, rebreathers, oxygen production systems, nitrox compressor systems, submersibles, and ROVs. In addition to working in the yacht industry, Greg works with film and TV production companies such as Discovery (Shark week), Oceanic Preservation Society (the organization behind the Oscar-winning film The Cove) and many others. He is a keen naturalist, filmmaker, and avid fossil collector. A very accomplished technical dive instructor with deep trimix experience, Greg prefers to dive with the whales and big sharks.